½” round timeless pendant necklace in 14k or 18k gold. 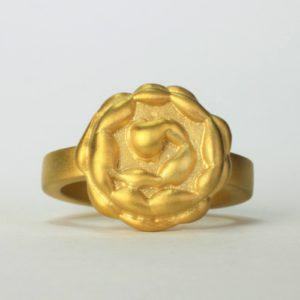 Sweet little gold rosette to start your day. 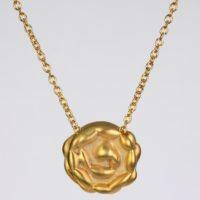 An exquisite 1/2″ round pendant with depth and all metal design, made for a queen, and glows beautifully on all skin tones. 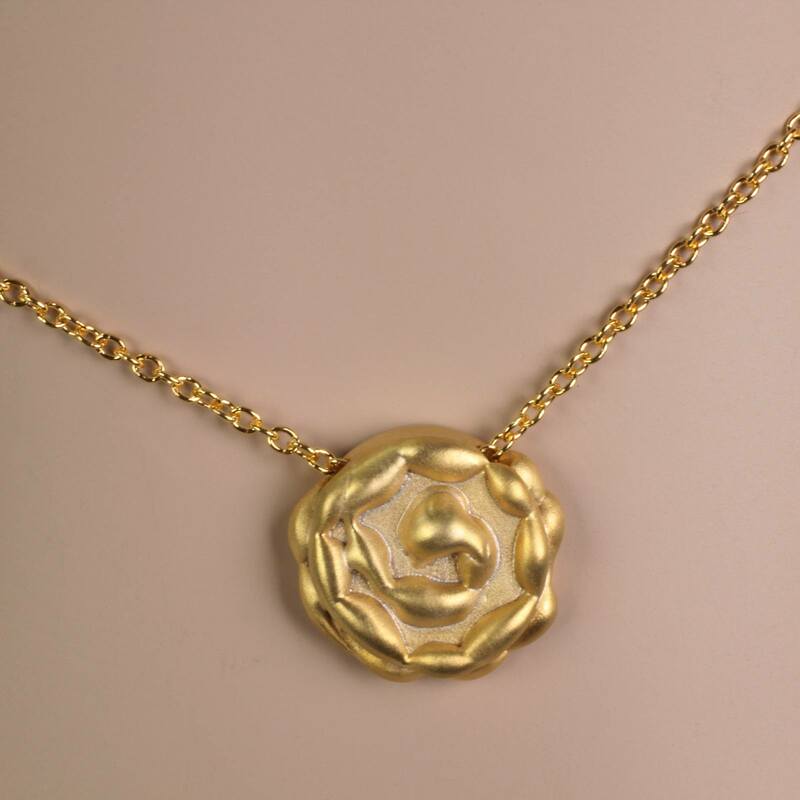 This gold humility rosette necklace is designed with a unique detail that resembles a small rose, and is available in 14k or 18k gold. 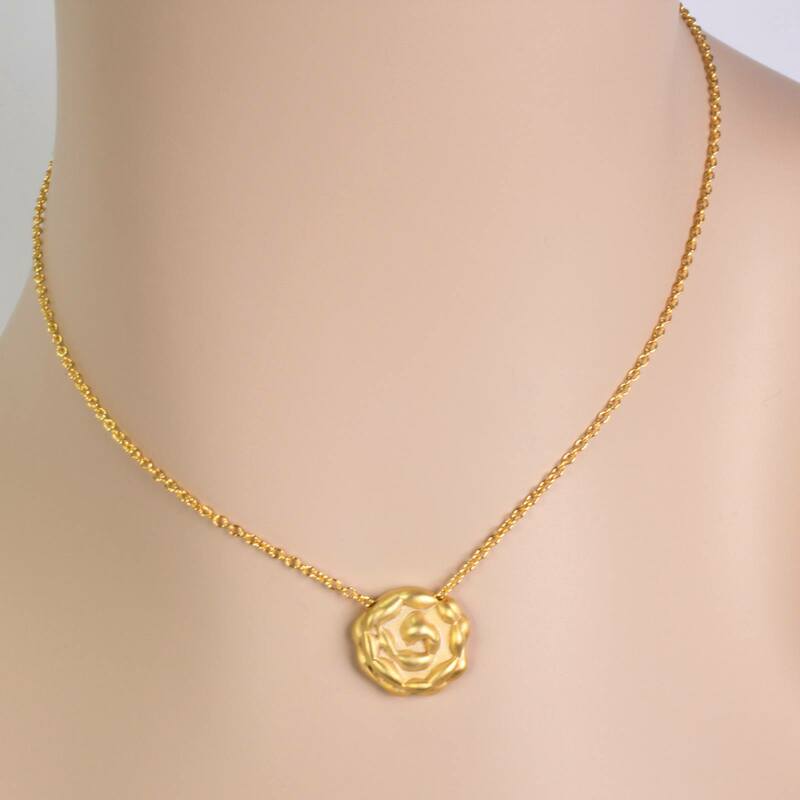 This stylish little pendant is versatile with its all gold metal simplicity making it easy for you to wear this gold choker anywhere. Or as an elegant, eye catching necklace for any special occasion. The humility rosette necklace is handcrafted using the lost wax technique, and each piece of wax was carefully craved to achieve this unusual rosette pendant. 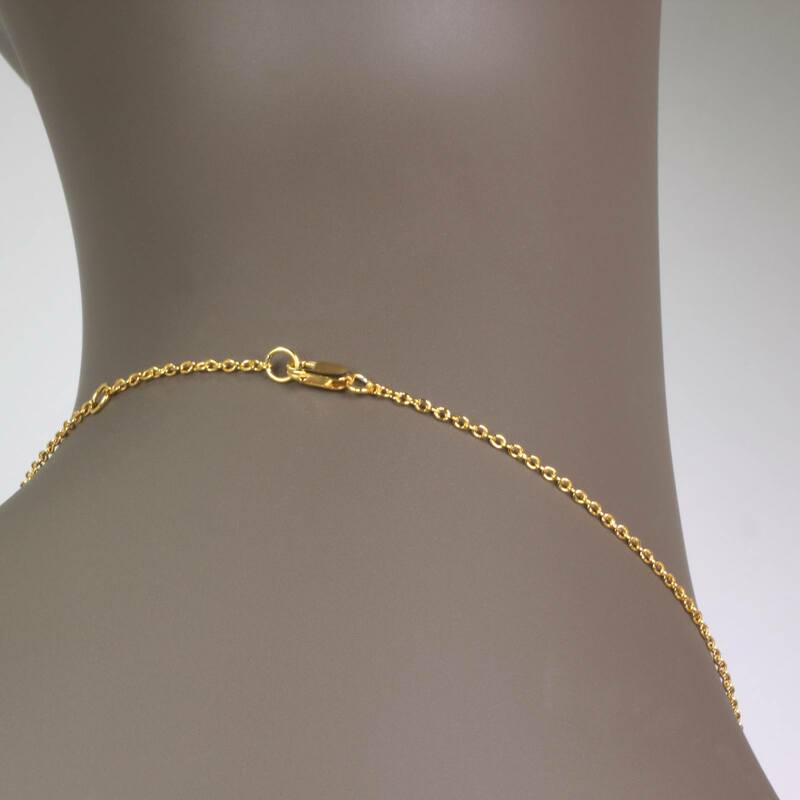 This exquisite gold necklace with cascading gold detail is designed with an adjustable length gold chain for a versatile necklace length. 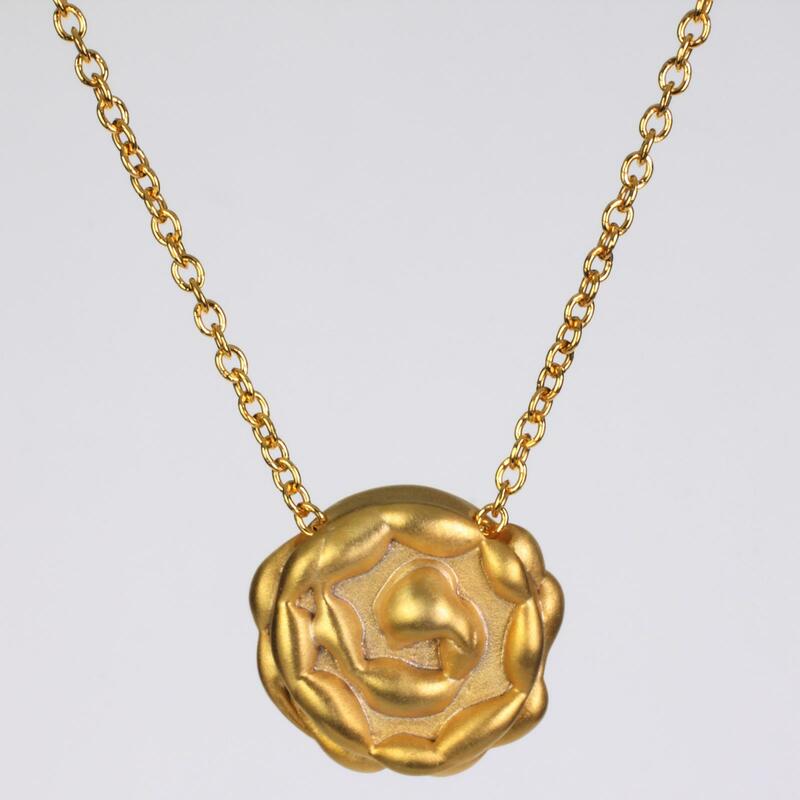 This sweet gold rose is a great little gift idea for your sweetheart. 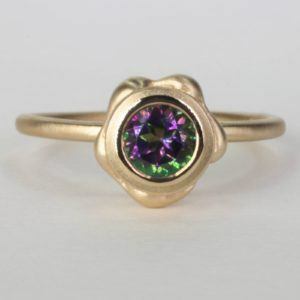 This Fine Jewelry collection is designed by a local NYC jeweler, and one of a kind orders are also welcome. 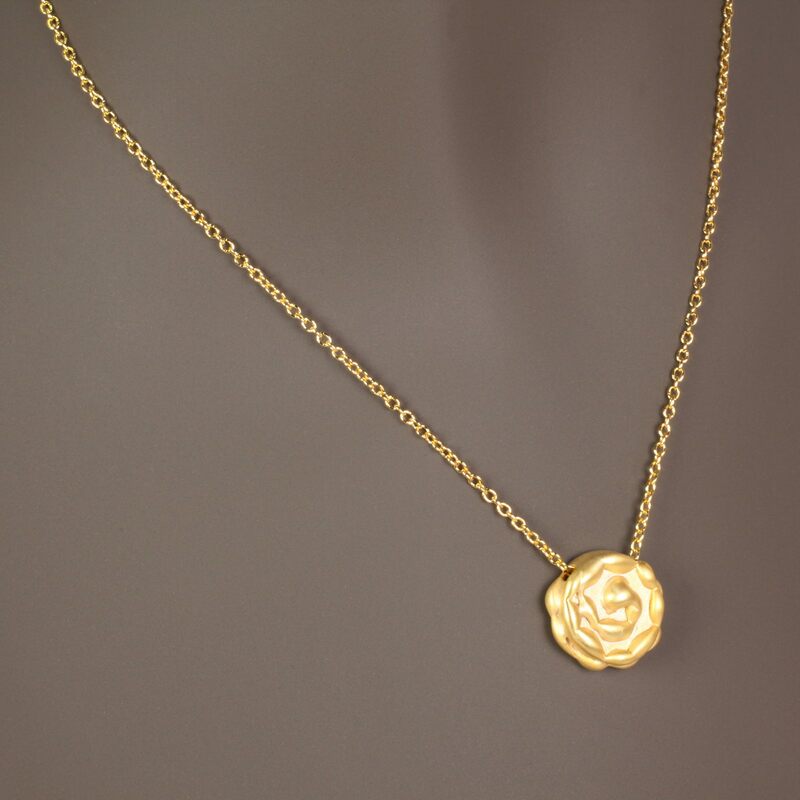 The humility rosette necklace is a great way to celebrate your love by offering her this sophisticated gold necklace either in 14k or 18k gold. This beautiful gold necklace will be cherished for many years, and will also be an adorable gold jewelry set with the coordinating earrings, or ring. 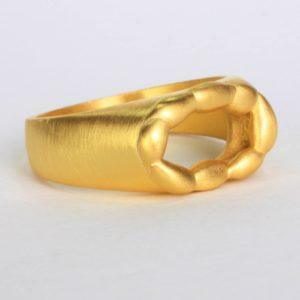 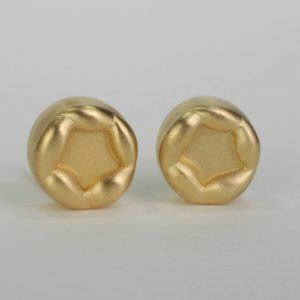 This new fine jewelry collection is made locally in NYC, and our fine jewels are stamped with the designer’s logo, and karat amount either in 14k or 18k gold. The humility rosette gold pendant necklace is unique, and no two pieces are alike.